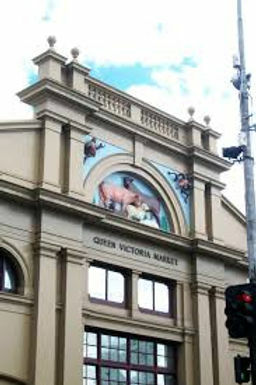 Queen Victoria Market or “Vic market” as it’s locally known is the largest open air market in the Southern Hemisphere and a UNESCO World Heritage Site. Established in 1878 – only a mere 30 years after the settlement of Melbourne – it is the only surviving market from Melbourne’s great 19th century markets. The highlight of the market is definitely the food – 3 of its 4 sections, including the historic Meat and Deli Halls, and Upper Market, are devoted to it. But the Upper Market, which houses our fresh fruit and vegetables, was not always a peachy place to be (pun intended). During the 1960s, the Upper Market was associated with the infamous “honoured society” or Italian mafia. Claims from suspicious produce growers about corrupt merchants and price fixing led to a 1960 Royal Commission into the dodgy practices of the cartel. Then, in 1963, a market gardener was shot. This sparked the “Market Wars” over control of Vic Market and was the first of 5 shootings. The particular area of the market where these shootings took place quickly became known as “Tombstone Territory”. Unbeknownst to many, Vic Market was also the site of Melbourne’s first cemetery. Although only open between 1837-1854, it is estimated to have been the site of over 10,000 burials. In 1917 the market was given permission to extend upon much of the cemetery site. 914 bodies were exhumed and re-entered in other cemeteries around Melbourne, however, numerous bodies remain buried beneath the existing car park – and they’re still finding graves! In fact, in 1991 about 30 graves were accidentally unearthed by the City of Melbourne while surveying the site for a new shed. You can visit the Vic Markets everyday of the week except for Mondays and Wednesdays. 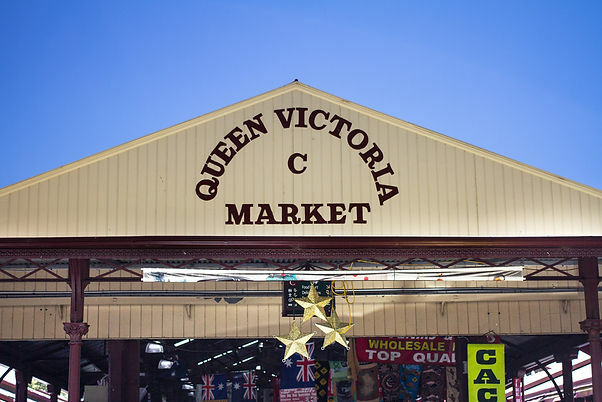 To hear more about the colourful history of Queen Victoria Market and many other CBD sites, book a personalised running tour with us here.